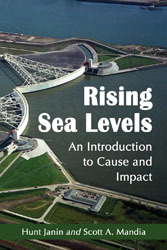 May | 2010 | Global Warming: Man or Myth? It was only after reading George Monbiot’s book, Heat: How to Stop the Planet from Burning, that I first became aware of how much CO2 is emitted by air travel. According to Carbonfund.org, CO2 emissions in air travel vary by length of flight–ranging from .24 kg CO2 per passenger mile for short flights down to .18 kg CO2 per passenger mile for long flights. I believe these calculators assume a full plane so the carbon offset value is based on each person’s piece of the total. Unfortunately, I had already booked a round-trip flight from New York City to Aruba and guilt immediately set in. How could I be a climate change evangelist and then step onto that plane knowing I was greatly contributing to global warming? And just how much CO2 were my wife and I going to be responsible for? Fortunately, there is a solution to this dilemma known as carbon offset. So what does that mean for those of us involved in the climate change information campaign? It means that we need to make efforts to understand what causes bias and then use proper strategies to remove that bias (known as debiasing). Fortunately, and a hat tip to Hank Roberts for finding this paper, Schwartz, et al. (2007) describes the role of metacognitive experiences in judgment and decision making and also the effectiveness of various debiasing strategies and public information campaigns. Knowledge vs Belief: Are AGW Proponents Gullible? This post is a mirror of Knowledge vs Belief: Are AGW Proponents gullible? on the outstanding blog Friends of Gin & Tonic. (If you enjoy intellectual sarcasm, FoGT is your blog!) I have received permission from the author to repost here. Some skeptics consider proponents of what the broad body of science and the IPPC say, that global warming is manmade and real, as true believers: knowledge vs. belief. This is principally true, albeit it is the other way round. That is because this ‘belief’ that AGW is true is not contained in a confessional framework, which only holds together by a multitude of non-testable additional statements. It is rather a reasonable assumption based on the knowledge of physical laws and empirical observations. In other words, proponents of AGW do not believe this in a religious sense but in a pragmatic one, based on knowledge. 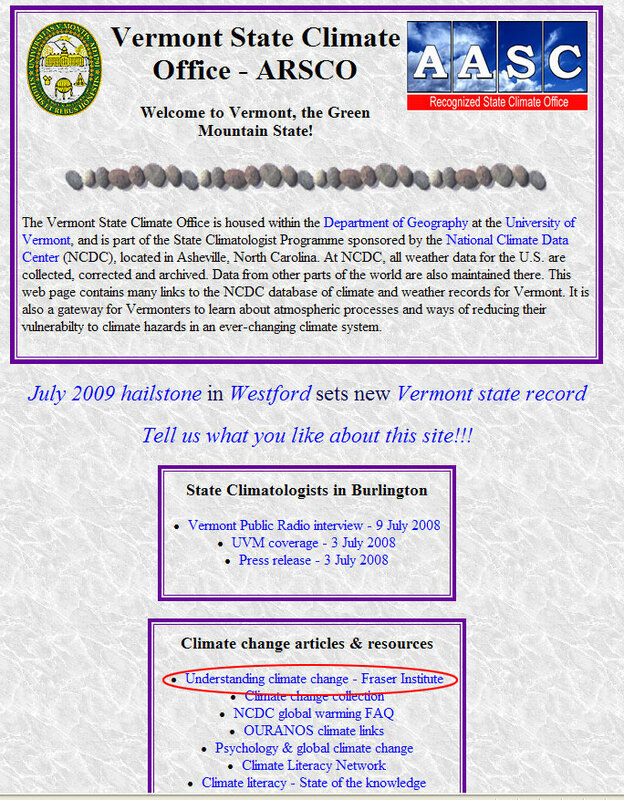 Vermont State Climatologist: Why Is That Link Still There? Update – May 20, 2010: The Fraser Institute document link has been removed from the VSC page. Mission accomplished. On Monday, November 2, 2009, I was directed to the Vermont State Climatologist (hereafter referred to as VSC) Home Page by a comment posted on the climate blog Open Mind. I was shocked to see a link to a Fraser Institute document titled Understanding climate change – Fraser Institute listed prominently on the VSC page. The images below show the page as of May 1, 2010 and is the same as I saw it on November 2, 2009. I was shocked because the Fraser Institute is a well-known front group for oil and other interests that have waged a misinformation campaign against climate science. Global Warming IS Something to Sneeze At! During the first week of April 2010, parts of the northeast set record high temperatures and the pollen really popped. As I swallowed my Allegra caplet and squeezed off two shots of Nasonex into the nostrils, I thought to myself, “wow, I cannot recall having an allergic attack this early and come to think of it, I am hitting the meds earlier and earlier each year. Sounds like this could be a good global warming blog post!” Achoo! God bless me. Yes, global warming is making people suffer increased allergic reactions and asthma attacks. This post will summarize why some people have allergies and asthma and why global warming is making these illnesses worse for them.